For a limited time only, and while stocks last, we’re offering a set of ORTLIEB Sport Packer Plus panniers and Bollé Messenger Standard helmet absolutely FREE to every customer who buys a KTM E-Bike. OnBike has been a KTM E-Bike dealership for many years, and over that time has offered a wonderful range of bikes. We’ve seen new innovations in design from KTM, and many different drive systems including Bosch, Shimano and Panasonic. They are without doubt at the top of their game, and continue to produce timeless classics year after year. Every KTM E-Bike now comes with a FREE set of panniers & helmet! A quality brand such as KTM deserves quality accessories too. That’s where both ORTLIEB and Bollé come in to play. They’re hard to beat on quality, style and functionality, and will complement any KTM E-Bike perfectly. This gigantic name in cycling has been a world leader for decades. Known for its waterproof designs and robust quality, ORTLIEB is capable of providing the ideal solution for all your carrying needs. Not only renowned in cycling for panniers, they also produce a huge range of solutions for a multitude of purposes. However, it’s their cycling panniers that they’re know for primarily. The beauty of all ORTLIEBs is their unique and easy fix system to any rear rack. Effortless in every respect. We very much like the Sport Packer Plus panniers, and it’s these that are part of the special offer with every KTM E-Bike purchased. They are available in a number of different colours to suit every taste. The Bollé story began in the small town of Oyonnax, France in 1888. There, Seraphim Bollé started his company by first manufacturing combs and hair ornaments for the boxwood and horn indigenous to the region. From then, the Bollé brand has grown from strength to strength into a highly respected world leader in sport safety wear. 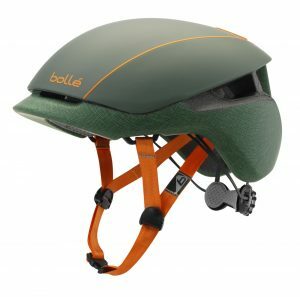 Contemporary styling and safety define Bollé, and are now widely worn across a huge range of disciplines including snow sports, water sports, golf, tennis, cycling and outdoor. They also make great eyewear too! In case of accident, a Safety QR Code located on the helmet allows any person equipped with a smartphone that can read QR codes, to identify who exactly should be contacted and what should be done, thanks to a voice message recorded beforehand. This BOLLE exclusive option makes your outings safer. The LED was especially designed for a perfect fit with BOLLE helmets. Located on the rear of the helmet, the LED has 2 illumination options, either continuous or flashing. Increased visibility means increased safety. With the Click-To-Fit™ system, you can adjust the fit very precisely. The offer will run for a limited time only, so why not treat yourself to a new KTM E-Bike with FREE panniers from ORTLIEB and a FREE Bollé helmet!